The weekend of the 29th&30thSeptember saw the 8th annual Edge Race Cup, sponsored by Grenadier Estates, took place in Exmouth, Devon. Over 30 riders registered for the event with some of the top ranked riders in the world competing. Saturday saw an incredible day with warm sunshine & an unfavourable wind quadrant to bring any sea breeze effect. 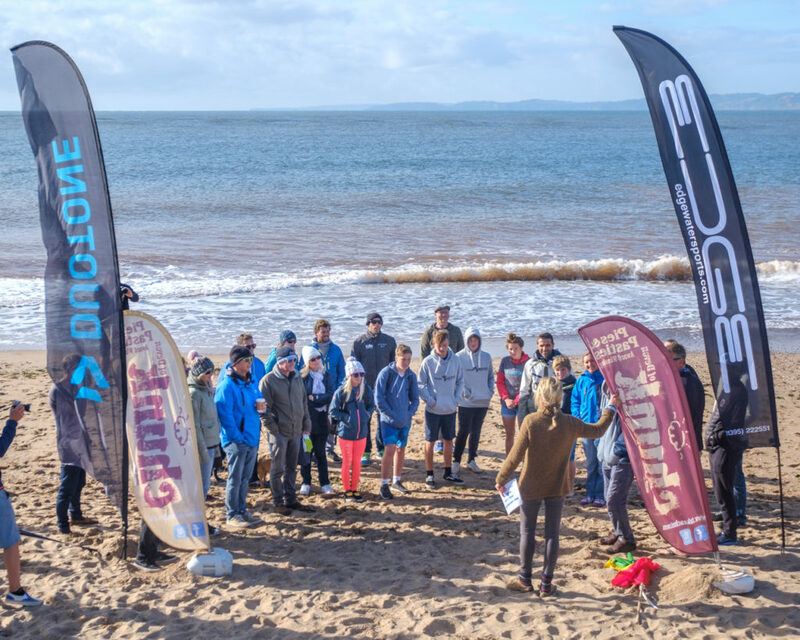 However, the competitors & spectators enjoyed the warmth of September on Exmouth Beach while some of the younger kiters got out on the water to practice . Now an Olympic sport for 2024, Kitesurfing is attracting great interest. 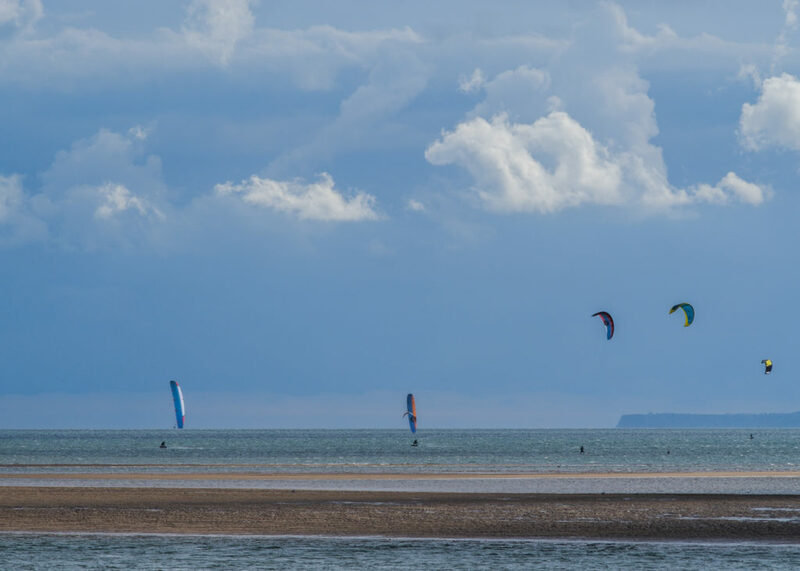 Sport UK in association with the British Sailing Team & British Kitesurfing Association have started a talent programme to introduce more young Female kiters to the sport. 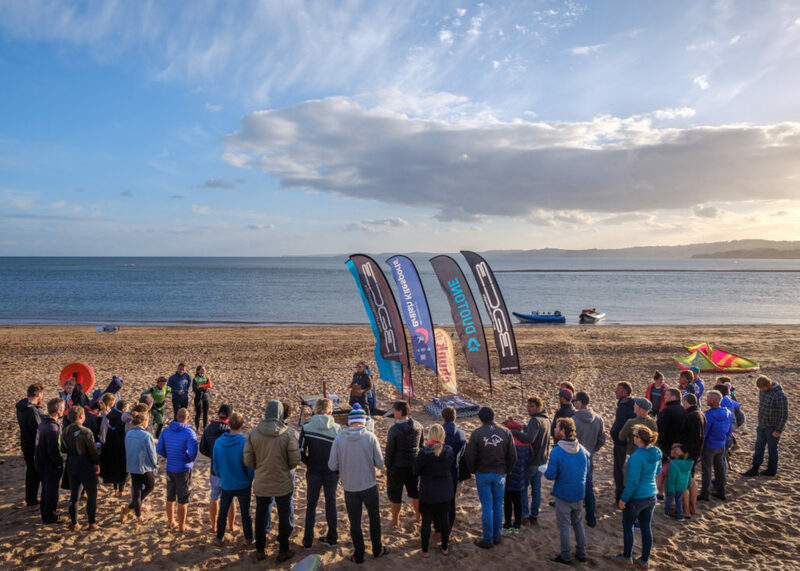 A pathway for youngsters to prove they have the right mind & skill set, talent & commitment to go all the way to bring the first kitesurfing gold medal back to GB waters. The Edge Race Cup was the first weekend that the programme was in place. 15 members of the new team were put through their paces either learning to hydrofoil or learning to race for the first time. 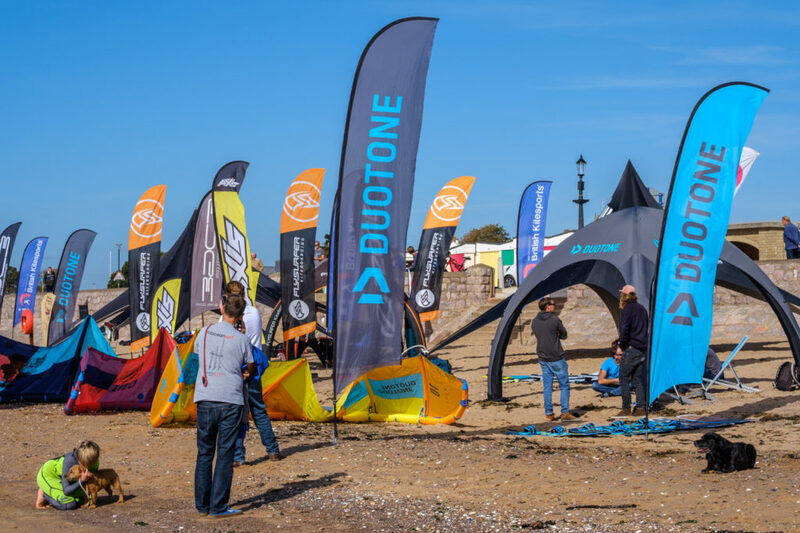 Chunks of Devon, our local sponsor provided racers with the delicacy steak pasties between races, with Duotone, Ozone & Flysurfer brands provided demos of the latest equipment. Saturday evening the riders convened at the evening party at Grapevine where the locally brewed beer’ Crossed Anchors’ was on tap. Sunday saw fantastic conditions, The arrival of a northerly front bought colder temperatures & increasing wind throughout the day. right blue skies with steady southerly winds. 2 races for Gold Fleet in 8knots were sailed and it was clear that the top 3 riders who have been competing on the world tour this year were in a different league. Close racing between current European Champion, age 19 Guy Bridge & his older brother – age 21- Olly Bridge while Connor Bainbridge from Portland often in the middle of them. A brief Pasty – donated by Chunks of Devon was followed by a strengthening breeze which allowed the silver & gold Fleets to race together. A larger fleet and winds 12- 15knots this was a huge spectacle to follow as the kites raced at over 40knots around the course. The front of the fleet was this time dominated by older brother, Olly Bridge who went with a bigger kite allowing him to sail deeper & gain over his younger brother. Meanwhile, Connor had gear failure & and was struggling to keep his performance for the afternoon’s racing. The silver fleet was dominated by Russel Farrington who was riding strapless for the whole day. The battle for the top 5 was tight between local riders James Bainbridge, Damian Francais & Nick Ajderian showing their huge improvement over the last year. With a more competitive womans fleet, it was 15 year old from Exmouth Community college, Rachael Hooper riding in her 1stHydrofoil event & completeing all 5 races ahead of all of the other girls & many of the men. Finishing 1stin the youth & Woman plus 6thoverall in the silver fleet. An incredible performance from one of the Edge Youth Academy team. Grenadier Estates, Chunks of Devon, Crossed Anchors Brewery, British Kitesurf Association, FatFace, Mystic, Duotone, ION, Maxtrack, OllyBars, Red Bull UK & Baxter Bradford Photography.